GPS Tracking Devices, Vehicle Tracking Devices and GPS Spy Products and Professional GPS Fleet Equipment is what Total Security has been designing, manufacturing and selling for over 25 years. Police GPS Tracking Devices and Covert GPS Vehicle Location Equipment Products at affordable prices with expert customer assistance and a one year warranty. Our Terms and Conditions are the best in the industry where the customer comes first. 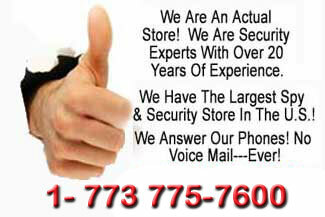 Call, Click or come on in and visit our large showroom of Car and Vehicle Tracking products and witnesses why we are one of the finest security and Spy Shops in America today open to the public here on Google. If you are in the market for a professional, yet cost effective Vehicle GPS Tracking Device, you have come to the right Web site. At Spy Source, we make it simple towards selecting the right GPS tracking devices that will serve either your personal or business needs. Choose between (CLICK ON) the different tabs below to find the right GPS device. If you are in need of assistance towards making the right selection or perhaps you have questions, please call one of our experts! We care about your safety and security and have over 20 years experience! Thank you for choosing us and call us at any time for lifetime customer support! 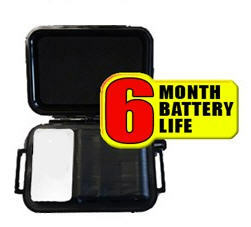 # 1 BEST Seller & Most Cost-Effective GPS Tracking Device in America! AFFORDABLE REAL TIME GPS Tracking! The SR-8 is easy to use, operate and one of the most reliable GPS tracking units on the market! The SR-8 has the best battery, location mapping and excellent quality. 30, 15, 10, & 5 sec available! 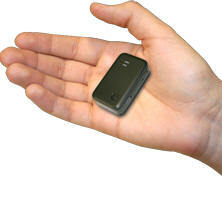 WORLD'S SMALLEST GPS TRACKER! The I-Tracker (No sign up or tracking fees!) Great Passive GPS Device! Only 1.5 Inches x 1.5 Inches x .05 Inches! 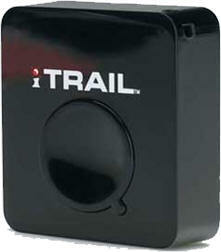 GPS Tracker / Logger Introducing the iTrail. A passive GPS Tracker, simply place the small iTrail gps unit wherever you like – your car, child’s backpack, this tracker will fit almost anywhere! At only 1.5”x1.5” small, this GPS tracker will log location, speed, time, and displays this information on an easy-to-use interface powered by Google Maps and Google Earth. CALL FOR QUESTIONS! WE ARE COVERT TRACKING EXPERTS! device as the regulations vary from region to region.